Well, it’s finally over. After a month of great, often breathtaking games matches and gorgeous goals, the World Cup finished its 2014 run in Brasil yesterday, leaving us both sad and already overflowing with excitement for 2018 (and 2022 on our home turf?) I watched more soccer football in the last month than I had in my whole life prior, and it’s not even close. Even more, I think I watched more of the beautiful game in the last four weeks than I have of baseball all season. And I love baseball. But the Mets are mediocre and uninspiring, and just plain difficult to watch. 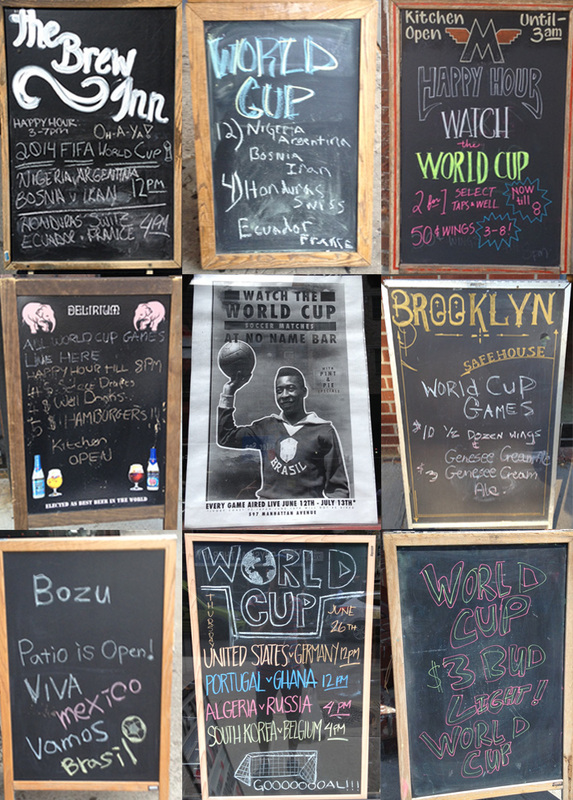 And, well, the World Cup worked very well with my current unemployment flexible schedule. Will I continue this trend and begin to tune into MLS games on a regular basis. Probably not (last night’s Seattle Sounders vs. Portland Timbers prime-time matchup notwithstanding). I already went down that road four years when I really thought I was going to be big LA Galaxy fan, and that didn’t last long (but that’s the worldwide appeal of David Beckham, I guess). Truth is, I’ll probably finally get back into baseball post-All-Star break, or, perhaps, if the Mets continue to make mediocre an art form, I’ll just kill time until hockey starts again (whose void was filled so wonderfully, and at just the right time, by the World Cup). But I’ll be ready for 2018 in Russia, and I’ll always treasure the last month, when I felt at one with the world and the world felt like it came to Brooklyn (and I spent way too much time in a bar before 5pm). My lasting memory, I think, will be that every bar, cafe, restaurant, McDonald’s, hair salon and tax preparation office seemed to be broadcasting the matches, trying to capitalize on a popularity that I didn’t quite realize the tournament possessed. There was no shortage of establishments showing the matches, and, it felt, no shortage of people who were interested in watching. 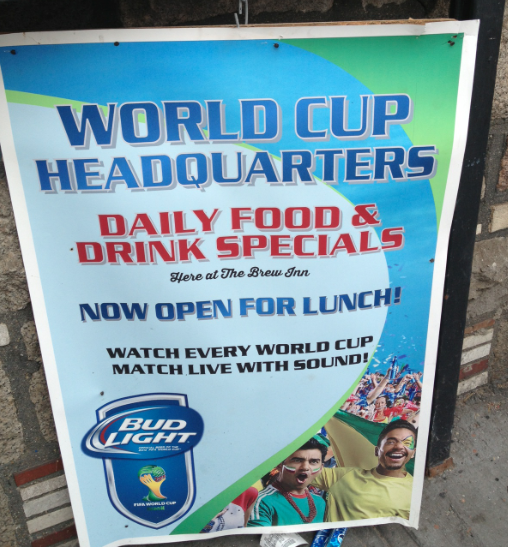 Walking around Brooklyn, it sure felt that soccer, after two decades of promise, had finally arrived. Our collective fútbol fever may now have subsided, not likely to return for another four years. But from now until then, we’re still infected, with another outbreak just lying in wait, from Brooklyn to Chicago, from Seattle to Kansas City, to Los Angeles to the White House. I look forward to the relapse. Filed under Across the pond, Local Flavor, Matt Christopher Books, New Favorite Show, The Roaring 10s!